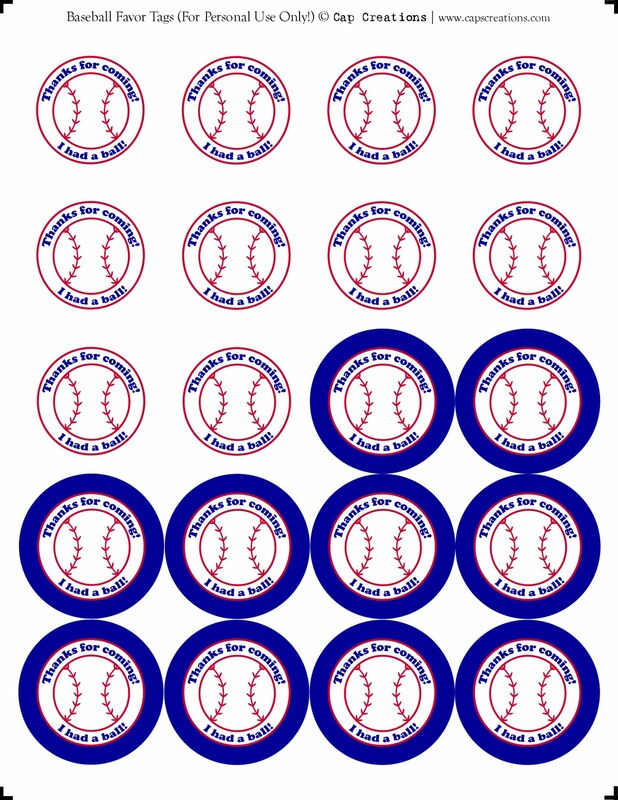 We used these thank you tags for our baseball party favor bags. We attached them to clothes pins, then placed them on the favor bags to keep shut. Click on the image below to enlarge, click again to enlarge even more, then right click and save it to your computer. You can print it from your computer as is but for best results open it in a photo editing program and line up the corners with a regular 8.5 x 11 size sheet (use the little black lines for reference) then print. Once printed, punch out with a 1 3/4 inch puncher (you could hand cut too if needed) and attach to the clothes pin! All done! 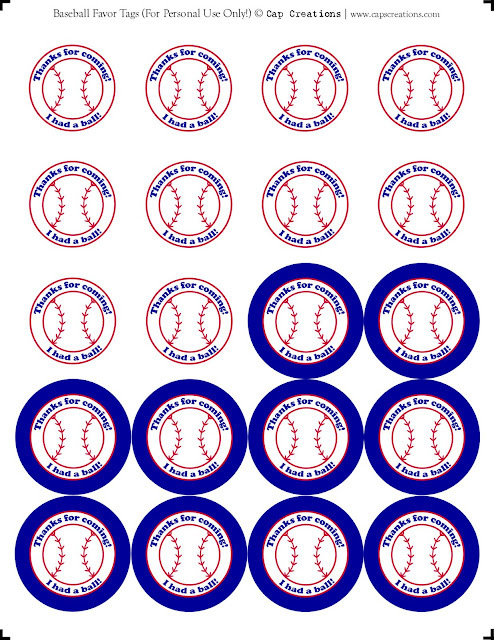 These are great as hang tags too! 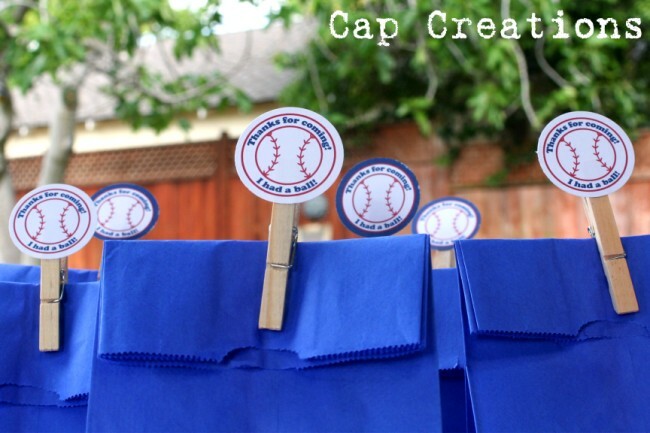 Simply punch a small hole and attach string or ribbon and hang on your party favors! Enjoy! I am using these, thank you so much!!!!!! Just what I needed!!!! Thank you so much! Using these for my little guy's first birthday!! !